From the New York Timesbestselling author of The Weekenderscomes a delightful new novel about new love, old secrets, and the kind of friendship that transcends generations. 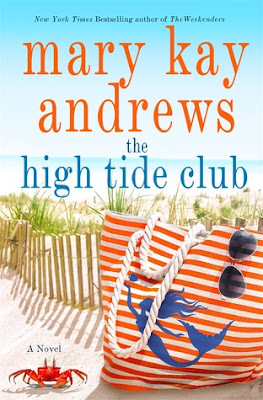 The High Tide Club is only the second book that I've read so far by Mary Kay Andrews, even though I have almost all of her books on my TBR right now, and I was super excited to read the book! I read The Weekenders last year and really enjoyed that story, so I was curious to see how this was going to compare. I definitely wasn't disappointed! I went into this book kind of expecting a summer type read, (I'm ALL about the summer books right now), but that's not all that this book was. The High Tide Club is a story about friendship and love, and the secrets that are only shared between the best of friends. One thing that I really enjoyed about this book was its interesting group of characters. There are so many unique and independent women in this story, and I really enjoyed the bond that was between the older friends and the one formed with the new friends as well. These bonds are the best, and they seriously make the best stories to read. The storyline for this book was definitely interesting as well. I like that the story is told in alternative time periods, between the past and the present. I think I adored the setting for the book the most. Beaches are my thing, and this was set on a pretty secluded island, which was awesome. As with the previous book I read by Andrews, there was quite a bit of mystery in the story as well, and I enjoyed that. I figured out pretty early on in the book what was going to happen, but there were still a few twists and turns along the way that caught me by surprise. 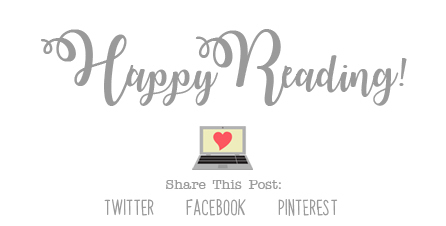 It was definitely an interesting read! Overall; I really enjoyed The High Tide Club! As I mentioned above, this is only the second book that I've read by Mary Kay Andrews, but it definitely won't be the last. I'm really looking forward to diving into a few of her previous books now, and the first I'm hoping to get to is Ladies' Night, which sounds like a lot of fun! If you like a good beach read, do check out The High Tide Club!